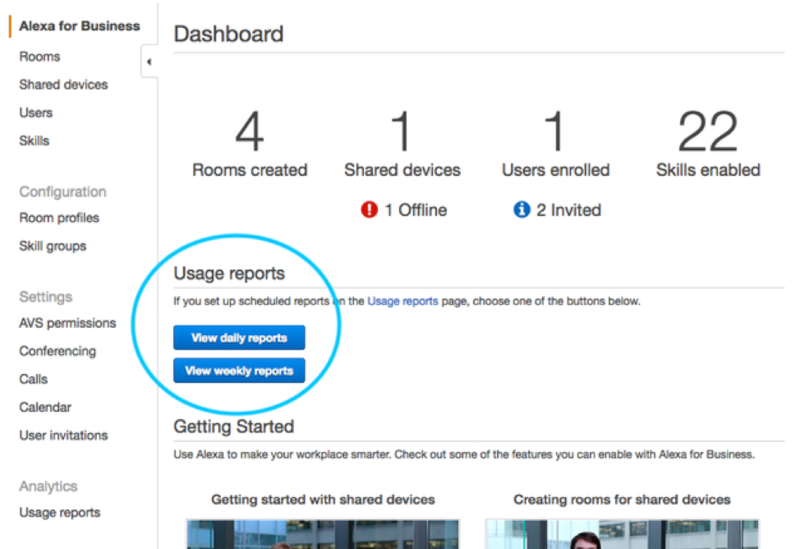 Alexa for Business launched a new feature called Usage Reports. These reports provide IT administrators a view of how Alexa is being used in their organization. 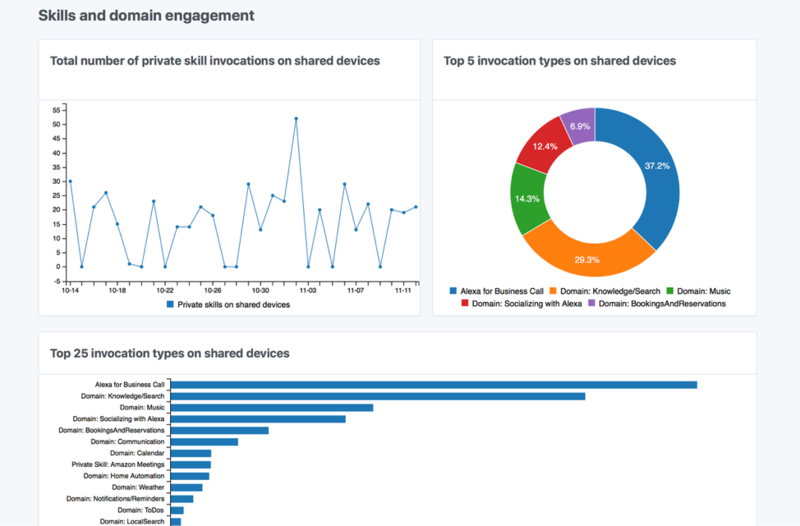 IT admins can view usage metrics across all shared devices managed by Alexa for Business, as well as private skill usage across users and devices. This allows the IT admins to quantify the impact of Alexa in their organization, conduct and measure experiments, and identify opportunities to build improved experiences. IT admins can create reports to collect aggregate metrics for one- or seven-day periods, that can be downloaded to their computer or to an Amazon S3 bucket. 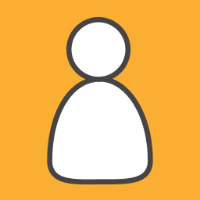 They can also set up schedules to deliver the reports to Amazon S3 on a regular basis, either daily or weekly, depending on the aggregation selected. The reports consist of four csv files, each a single table representing information focused on a particular aspect of Alexa usage. Enrolled Users report details conferencing activity by enrolled users. Interaction report shows top 25 Alexa usage by domain or skill, along with the invocation count. Private skills report shows the number of enrolled users and number of invocations of each private skill. Room report shows the number of meetings joined by room name. In each of these files, the first column of the csv is “Date Ending.” This represents the last active date of the report. If the report were a 7-day aggregate usage report, the column would represent the last day of data that is contained in the report. Using these csv files to consume usage metrics is a great way to either archive these metrics (in which case you’ll likely want to choose the Zip format), or to automate using ETL (choose unpacked/CSV for this) for processing and import into a visualization tool such as Amazon QuickSight. Because we give the option to export unpacked CSV files to S3 with a hive-style partition format, IT admins can query their data directly against S3 using tools such as Amazon Athena. The html report is a static 30-day view, where the time series data points use 1-day aggregate data. To enable Usage Reports, IT admins can navigate to the Alexa for Business console, and select Usage reports in the left-hand navigation pane. From there, IT admins can select Create report to generate an ad-hoc report for download or export to a selected location in Amazon S3. IT admins can also configure a Scheduled report with either 1-day or 7-day aggregate metrics. All reports are accompanied by an html report that provides a visual representation of usage over the last 30 days. 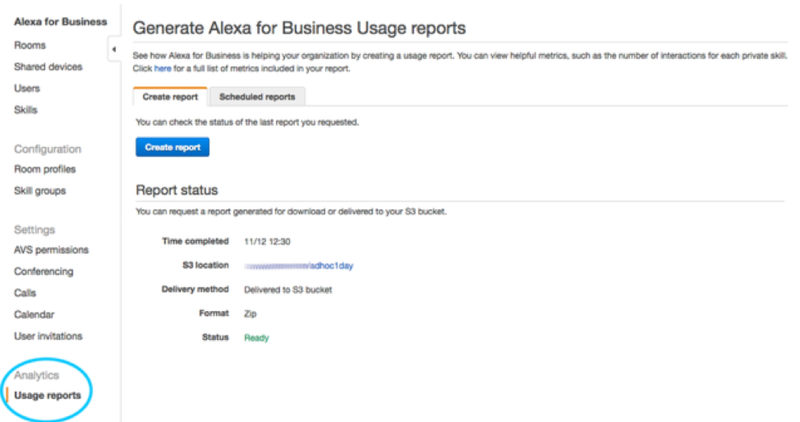 Once a scheduled 1-day or 7-day report is configured, the main dashboard page of Alexa for Business console will show links to those reports. If the scheduled reports are not configured, those buttons will be grayed out. Having Usage Reports for Alexa for Business enables IT admins to quickly understand how their users are engaging with Alexa at the workplace. For example, IT admins can understand the adoption metrics of “Join the meeting” across various conference rooms, or know what private skills are the most popular with their users. We hope you try out this new feature and are looking forward to hearing your feedback! To learn more about Alexa for Business, please visit aws.amazon.com/alexaforbusiness.